Chenrezi compassion mediation beginning at 10:00 am is held at Ewam Choden every Sunday. Recently, Ven. Lama Kunga Rinpoche has begun to give teachings after the usual Chenrezi compassion meditation on Sunday mornings. 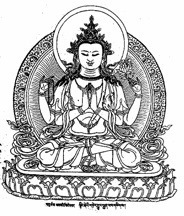 The teaching is an in depth explanation of the Tibetan words of the sadhana. 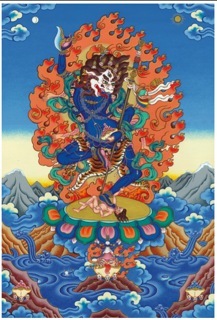 Rinpoche’s explanations can be both colorful and profound. Seize this opportunity by coming to the Sunday morning meditation, starting at 10:00 am and lasting until about 11:30 am. Check the calendar (on the right side of this page) for Lama Kunga Rinpoche’s general schedule.